I am a big fan of using essential oils in my skincare routine, as these potent ingredients can make such a big difference to your skin and can alter your mood, depending if you need to relax or energise. 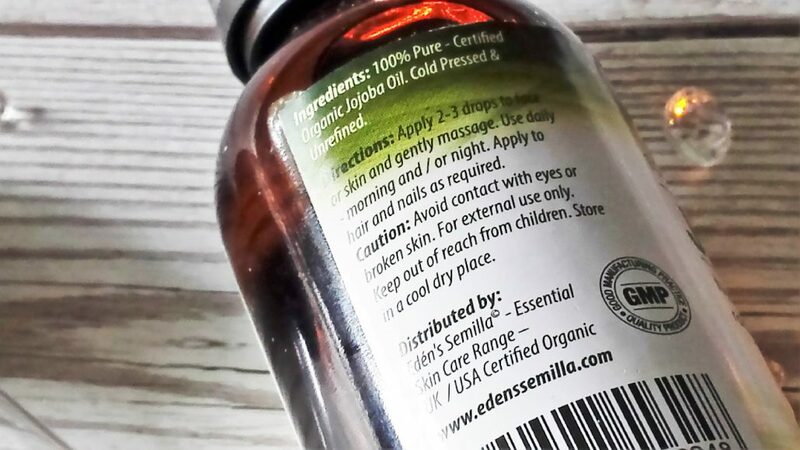 As you might remember I discovered the fantastic Eden’s Semilla last month and I reviewed their organic, cold pressed Jojoba Oil, if you missed this you can check it out HERE. This time I have been using their extensive range of their premium quality 100% natural essential oils. I have always wanted to have my own collection of oils as it’s a great way to create your own bespoke skincare and I have recently got into using an electric aromatheraphy diffuser from Organic Aromas which has been a fantastic tool as you can choose the strength of how much fragrance is released and changes colour which if I focus on combined with these oils have really helped to alter my mood. Lavender – I have used this oil for many years in various forms as I find it helps to reduce my stress levels and ease tension, I have been adding a drop into hand cream at night and onto my bed sheets. Pine Tree – I like to use this in the diffuser once I have cleaned to refresh the whole house, bringing the fresh outdoors, indoors. Frankincense – Has been shown to reduce heart rate and is often used to treat anxiety. A potent stress reliever when inhaled or when added to a hot bath. Contains natural healing properties and offers effective skin protection. Tea Tree – This has been an essential for me over the years, as it has fantastic antiseptic, anti fungal and antibacterial properties. I liked add a few drops into my shower gel, shampoo or under hot running water to soak in the bath with. It works fantastically in a diffuser as insects don’t like the aroma. Rosemary – I find this really helps to open the air ways when added to the diffuser and if i’ve pushed it too hard in the gym to combine with arnica for a double action anti-flammation benefits. 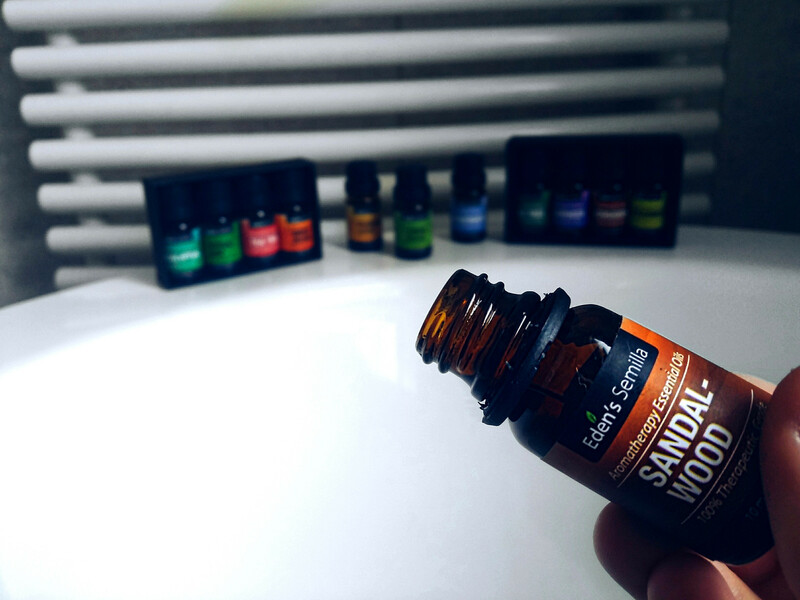 Sandal-Wood – I like to add this to my body lotion if im going on a night out or a date, as it has quite a sensual tone and perfect to enhance the mood at the end of the evening. Sweet Orange – Fantastic to add to hand wash in the kitchen and in the diffuser to remove any left over food aromas like fish or garlic. Pepper-Mint – If i’ve had a hard day at work to burn this in the diffuser helps to clear my head, but I also like to add it to some shea butter and rub on my temples and the back of my neck for an instant cooling and refreshing hit. Eucalyptus – This is a must have essential for me, as we head into the colder months, this works brilliantly to decongest any cold or flu symptoms. It also works well in the diffuser to refresh the bedroom and helps me feel cooler in the Summer heat. 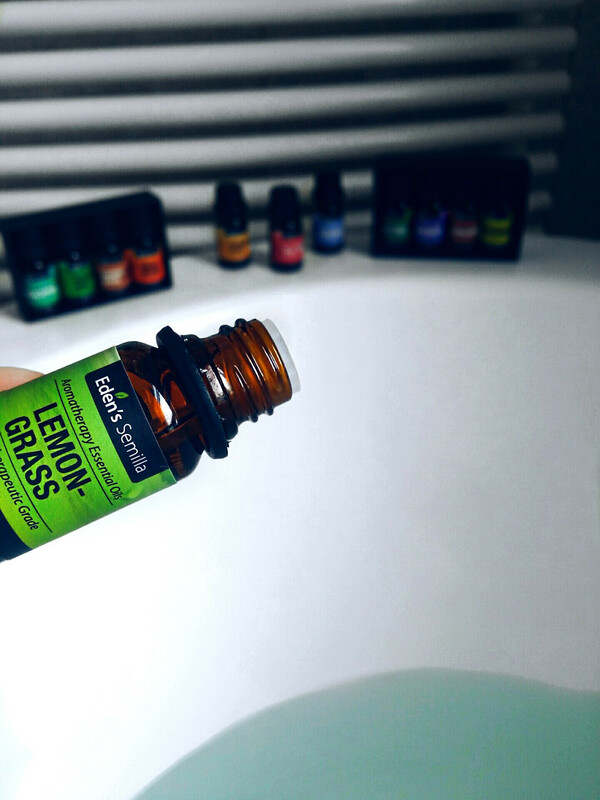 Lemon-Grass – This is one of my favourite uplifting aromas, great to use with my morning shower or as a pick me up in the diffuser mid afternoon. Cinnamon – Adding a few drops to an aftershave balm can help to reduce any inflammation or soreness and always reminds me of festive times. Bergamot – A refreshing citrus aroma that I like to use with my shower gel on a morning and is perfect in the diffuser mid evening just before the sun sets. Each of these fantastic essential oils come in a dark tinted glass bottle, which is designed to preserve the potency. I would recommend storing out of sunlight in a dark cupboard to ensure effectiveness. I would always dilute when applying to the skin either with a carrier oil or added into a favourite moisturiser, shower gel or mask. Also be aware certain essential oils are to be avoided during pregnancy so be sure to double check with your doctor before use. 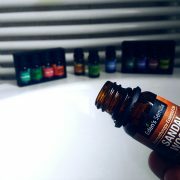 I have thoroughly enjoyed experimenting with these oils and finding new ways in which to use them and I hope you do too. 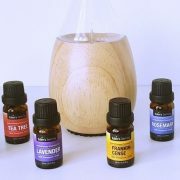 If you would like to find out more information about this range of Essential Oils then I suggest visiting their online shop where you can browse the full range and decide which is best for you to try. They can be purchased individually or there are two pre-blended collections for your convenience. Are you a fan of using essential oils in your skincare? Do you like using aromatherapy to fragrance your home? 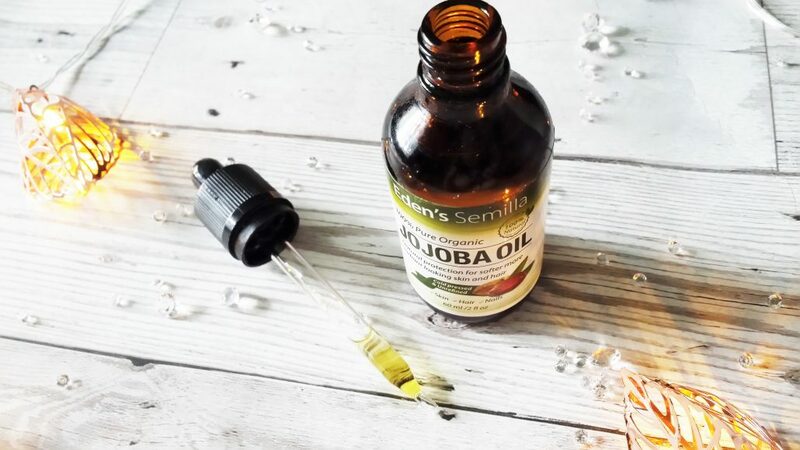 I have been using Eden’s Semilla 100% Organic Jojoba oil for just short of two weeks now and I have found it very beneficial to my skin, nails and hair. 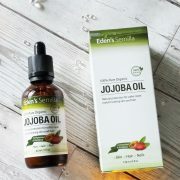 I am already using Eden’s Semilla Rosehip Oil which I adore, so I was very excited to purchase the Jojoba Oil. The oil itself is cold pressed, helping to retain all those fantastic natural ingredients. It’s just full of nothing but goodness. The oil comes in a sturdy glass bottle which holds 60ml and is packaged in a nice looking box. 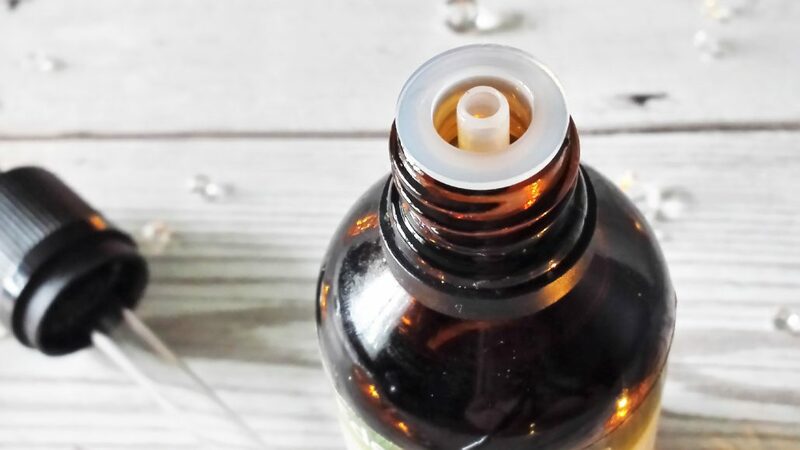 You have the option of keeping the stopper in the bottle that it comes with, or changing it over for the dropper that is also included too. It’s whatever suits you best really. I opted to put in the dropper as I just find it a lot more convenient to use and measure out drops with. I have been using 3 drops of this every night as a facial oil and have found it has calmed the redness & dryness that I usually have on my cheekbones, which often get irritated and red from products and the area gets very dry and flaky. The Jojoba oil has made a significant improvement and my skin feels so much softer and I have noticed that my skin no longer flakes in those areas either. This is a 100% Natural Organic Jojoba oil, so you know you are putting the best quality oil onto your skin. It absorbs into the skin easily and quickly and it doesn’t leave your skin feeling greasy or oily after applying; just lovely and soft. It’s rich in Vitamin E and antioxidant which helps to repair damaged skin cells. I have some faint scarring from old breakouts and this has helped to fade them somewhat and has just made my skin tone overall more even. My skin also feels plumper and rejuvenated the following morning. 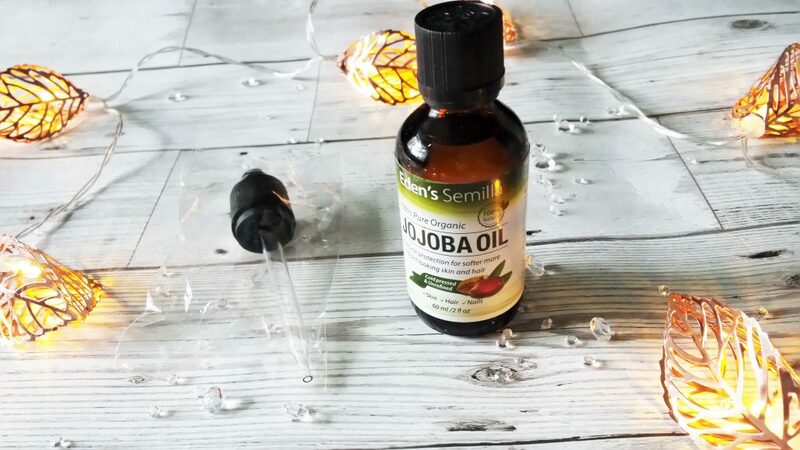 I have also used the Jojoba oil on my nails, putting one or two drops onto the tops of my fingers, then massaging into the nails, and nail bed until absorbed. My nails have been quite brittle and breaking a lot lately because they are quite weak. This oil has definitely made them feel and look a whole lot healthier, not to mention my hands feel really soft too! It’s also great for your hair and this oil is no exception. 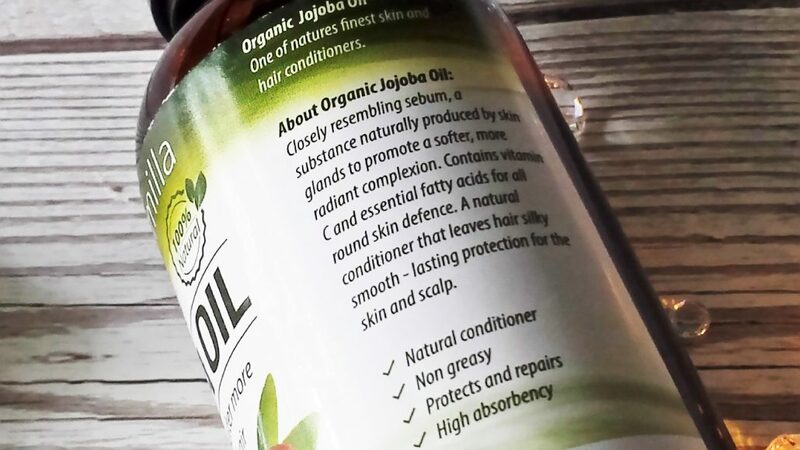 Jojoba oil is the only oil whose structure is similar to sebum, the oil that the scalp naturally produces, therefore it doesn’t mess with the natural balance when applied to the scalp. I recently had a beachwave perm and as I also colour my hair it is now quite dry on the ends. This oil is great to bring back shine and smoothness, rehydrating my damaged hair. Using this makes me hair feel really soft, and shiny. The oil does have a scent but it’s not very strong; it’s a really pleasant fragrance. It’s such a great buy because the oil has more than one use with lots of fantastic benefits. You can also use Jojoba oil as a base/carrier oil too. It really is a great oil to have. I have dry and sensitive skin and this oil suited it really well. I have experienced no negative reactions using this product, such as tingling, burning, itching or redness. I would say all skin types could use this oil. This week I’m focusing on something that I have been loving recently. If you have read my previous posts, you will know that I put relaxation, skincare and pampering on a bit of a pedestal. I’ve found myself in need of a bit of a pick me up. When things get a little full on, I look forward to the end of the day when I will have the time to unwind. Eden’s Semilla has produced some of my favourite products that really help me to relax. I think that looking after your body doesn’t only extend to skincare and workout routines, the mind also needs a little time off. My most recent purchase from Eden’s Semilla has been from the Essential Oils Range. When I find something that grabs my attention, naturally I want to tell you guys all about it! I have purchased three sets of the Essential Oils, which I love for different reasons. 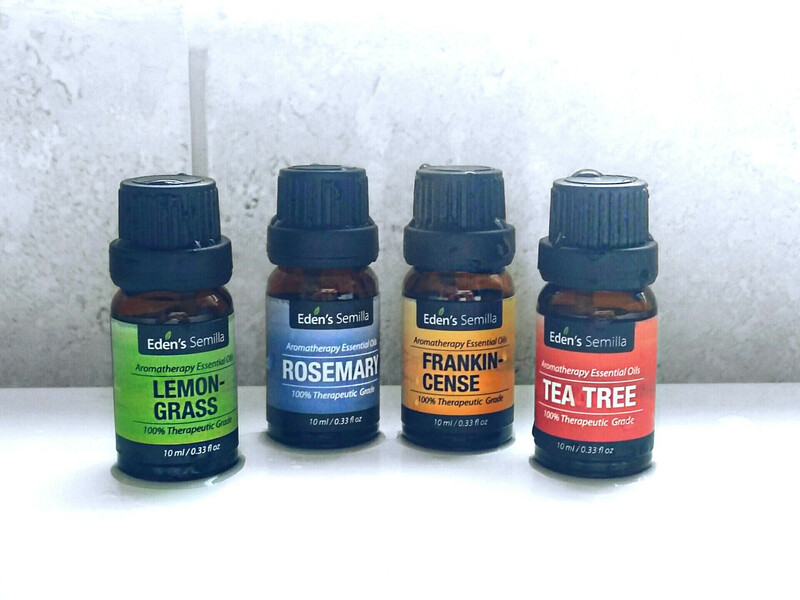 “Essential Oils Set 1” contains four little bottles filled with deliciousness. The first set contains Tea Tree, Rosemary, Frankincense and my favourite… Lemongrass. The scents vary from sweet to musky to earthy and enchanting. I love a product that can surprise you and this range certainly has surprised me. I don’t know if any of you are the same, but I tend to put a lot of pressure on myself, so anything that helps me to unwind instantly becomes a favourite of mine. Every set is so versatile! To anyone that takes pleasure in a little relaxation, or appreciates some down time would enjoy these little guys. They can be used in more ways than one, you can either apply 3-4 drops of the liquid to your skin for a soothing massage. It is recommended that the liquid is combined with carrier oil for a soothing mix, but this is optional. 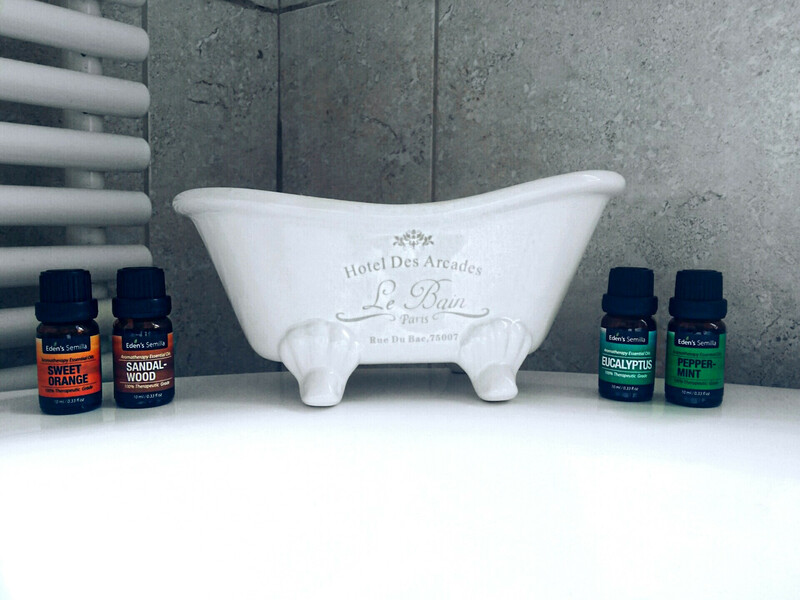 To get the best out of your bath time, add 2-3 drops from one of the bottles into your bath water. This causes the oil to act as a diffuser/vaporizer. The aroma is sensational. I am obsessed with using these little bottles for my bath time, which gives me some peace and tranquility. I’m pretty sure I’m not the only one who gets to enjoy the luscious scent of the range. Even after spa time has long been over, everyone gets to enjoy the lingering scent! This is as close as you can get to a spa at home. Every product in this range is made from 100% Essential Oil and contain no additives or solvents. I do love an all round natural product, I don’t know if anyone else feels the same, but I have the perception that natural products will do your body more good in the long run. The second set that I have purchased contains Sweet Orange, Eucalyptus, Sandalwood and Peppermint for more of a spontaneous taste. These scents remind me of comforting times of the year like a cozy evening approaching Christmas. I’ve found that my skin feels really refreshed and soft after using products from the Essential Oils Range. I do love a good bubble bath, but one thing that lets down a lot of bath time goodies is that the scent never lasts on the skin. The reality with this product couldn’t be more different, even hours after, a gorgeous scent follows me around! I think it’s fair to say that I am slightly obsessed with the range. The third set includes earthy scents such as Pine Tree, Lavender, Bergamot and Cinnamon. These aromas are natural scents of the earth, which I find extremely comforting. I’ve always been the type of person to strip back to the basics, I’m not big on fancy fragrances, so natural is always a good way to go. Sandalwood is also another favourite of mine. I like to use this if I’m having a cozy evening session! There is nothing to stop you using a little on your hands for a quick freshen up during the day. Sweet Orange may be a good way to go!